It's still a month away, but an exhibition that involves Dickensian weirdness, tales of the macabre and sinister subterranean exploration deserves your attention now. Illumini, who two years ago brought abandoned Tube stations, gothic crypts, secret bunkers and buried rivers to the basement of Shoreditch Town Hall, are back with a new show at the same location. Dickensian Hauntings will feature dozens of disquieting displays from artists and model makers. We're promised spectral rocking chairs, the corpse of a humanoid robot, a recreation of Miss Haversham's wedding breakfast, and many more eerie Victorian curiosities. The exhibition will be supported by numerous talks and walks, some of which must be pre-booked. So if you fancy a tour of West Norwood Catacombs or the (probably fake) prison cells in the Viaduct Tavern, take a look through the listings now. 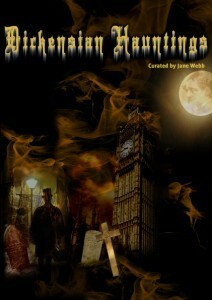 Dickensian Hauntings exhibition is at Shoreditch Town Hall 28 September to 4 October. Entrance is free.